The objective of this article is to analyze how intersectional processes shape differing degrees of medical mobility (defined as facility of movement across national borders for the purposes of obtaining health care services or pharmaceuticals) across the U.S.-Mexico border for Spanish-speaking Hispanics and English-speaking Whites. Furthermore, this document explores how intersectional factors such as race, language, socioeconomic status, and citizenship shape medical mobility patterns. 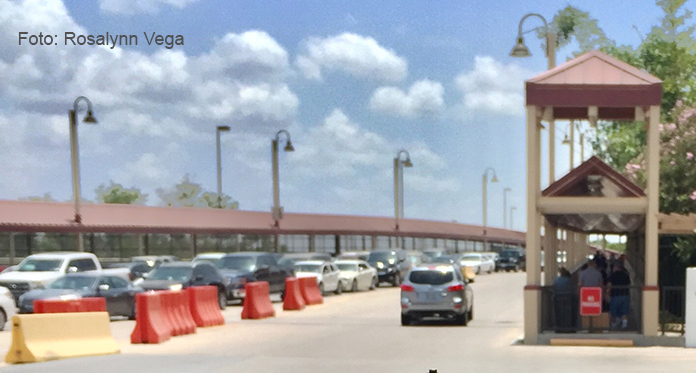 The research used ethnographic methods (in-depth interviews and participant observation) over a period of sixteen months (from May 2017 until September 2018) in Hidalgo County in the Rio Grande Valley of Texas. The results of the research are an ethnographic understanding of the limits of citizenship for both documented and undocumented health care seekers in the border region, and the circumstances under which different border residents turn to bioconsumerism. The article’s conclusion makes a unique contribution to the literature by offering critical perspectives on relative privilege. Augé, M. (1995). Non-Places: Introduction to an Anthropology of Supermodernity. London, United Kingdom: Verso. Bauman, Z. (1993). Postmodern Ethics. Oxford, United Kingdom: Blackwell Publishers. Bridges, K. (2011). Reproducing Race: An Ethnography of Pregnancy as a Site of Racialization. United States: University of California Press. Cohen, C. (1997). Punks, Bulldaggers, and Welfare Queens: e Radical Potential of Queer Politics. GLQ, 3, 437–465. Connell, J. (2006). Medical Tourism: Sea, sun, sand, and … surgery. Tourism Management, 27(6), 1093-1100. Crenshaw, K. (2014). The Structural and Political Dimensions of Intersectional Oppression. In P. R. Grzanka (Ed. ), Intersectionality: A Foundations and Frontiers Reader (pp. 16- 21). Boulder, United States: Westview. Dacia Danton. (October 5, 2017). Interviewer Rosalynn Vega. Dawn. (November 16, 2017). Interviewer Rosalynn Vega. Grzanka, P. (2014). Intersectionality: A Foundations and Frontiers Reader. Boulder, Colorado, United States: Westview. Isabela López. (November 17, 2017). Interviewer Rosalynn Vega. Jade. (March 1, 2018). Interviewer Rosalynn Vega. Keane Danton. (October 5, 2017). Interviewer Rosalynn Vega. Laurell, A. C. (2013). Impacto del Seguro Popular en el sistema de salud. Buenos Aires, Argentina: Clacso. Roberts, E. F. S. & Scheper-Hughes, N. (2011). Introduction to Medical Migrations. Body & Society, 17(2-3), 1-30. Thompson, C. (2011). Medical Migrations Afterword: Science as a Vacation? Body & Society, 17(2-3), 205-213. Urry, J. (2007). Mobilities. Cambridge, United Kingdom: Polity Press. Valentina. (November 17, 2017). Interviewer Rosalynn Vega. Vega, R. (2018). No Alternative: Childbirth, Citizenship, and Indigenous Culture in Mexico. Texas, United States: University of Texas Press. Medical anthropologist of binational U.S. and Mexican citizenship. She obtained her PhD in the Joint University of California, Berkeley-University of California, San Francisco (UCSF) Medical Anthropology Program and completed a Master’s in Public Health with a concentration in Epidemiology at the UC-Berkeley School of Public Health. She is Assistant Professor of Medical Anthropology at the University of Texas Rio Grande Valley. Her research interests include: intersectionality, critical race theory, political economy, citizenship, and transnationalism in the U.S.-Mexico borderlands. Recent publications: Vega, R. (2017). Racial I(nter)dentification: The Racialization of Maternal Health through Oportunidades in Government Clinics. Salud Colectiva, 13(3), 489-505.